A video piece at Sky News Arabia – a joint venture between the UK-based Sky News and Abu Dhabi Media Investment Corporation – highlighted official Palestinian Authority statistics on Palestinian prisoners/detainees/captives* in Israel. However, the piece failed to mention the crimes of Barghouthi and Younes – an omission that could leave the impression their punishments were excessive – or, in the case of Barghouthi, that he was imprisoned merely for expressing his “political” beliefs. The truth is that both prisoners were convicted of murder. Barghouthi was convicted in the killing of Israeli bus driver Mordechai Yekuel in 1978, rendering the characterisation of him as a “political prisoner” absurd. Younes was convicted in the kidnapping and killing of Israeli soldier Avraham Bromberg in 1980. 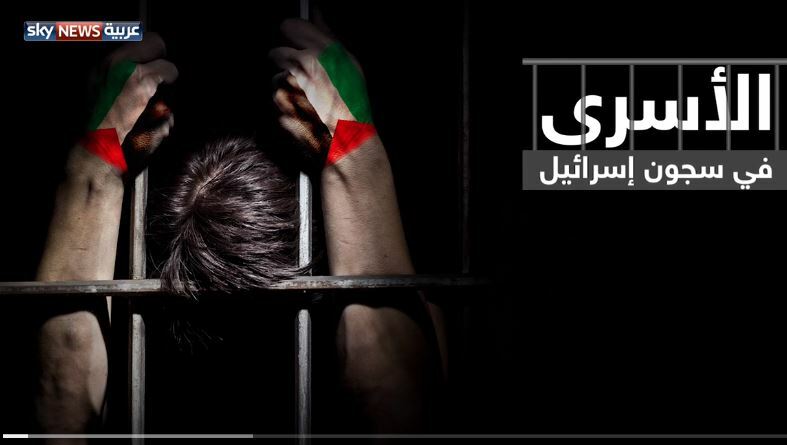 Another problem is the video’s presentation of Younes as a prisoner of “the Occupation”. We’re told (at 01:28) that Younes “enters his 36th year in the Occupation’s prisons”. First, Younes is an Arab citizen of Israel, not a West Bank Palestinian. And, he murdered Bromberg at a location within the Green Line. So, in what possible sense can he be referred to as a prisoner of “the occupation”? Evidently, according to Sky News Arabia, even Arab citizens of Israel are being “occupied” – representing the adoption of the radical terminology associated with terrorist groups, like Hamas, who view any Jewish presence in the region as an illegal “occupation”. *The Arabic word “Aseer” could mean both captive and prisoner, and is often translated by Palestinian officials to “detainee”. This is unlike the word “Sajeen” that only means prisoner. “Aseer” is much more common in the Palestinian discourse than the second – In the video it is mentioned 13 times (plus one in the name of the Palestinian commission providing the statistics), whilst “Sajeen” is mentioned only once (with regards to Younes, although the writing also calls him “Aseer”) . **See more posts about errors and distortions by Sky News Arabia here, here, here, here, here, here and here. Is Bat Yeor’s much-mocked concept of “Eurabia” coming to pass? The Arabs are buying the media. Berlin is ten percent Muslim. In the Kreuzberg & Neukoelln neighbourhoods gays and Jews are openly attacked in the streets and on public transport . They are verbally assaulted, threatened and sometimes beaten and kicked by men of “Middle Eastern appearence”. One gay man was knifed in the thigh. The bullying and threats to life against Jewish children is so common on some schools that parents have to send their kids to Jewish schools. But you need not be Jewish to get bullied in Berlin schools. If they catch you eating pork you will be bullied. “adoption of the radical terminology associated with terrorist groups, like HAMAS, who view any Jewish presence in the region as an illegal “occupation”. Nope. It is mainstream in the Palestinian education system in Gaza and the P.A. It is integral to the Palestine Liberation Organisation formed in 1963, before the Six Day War in 1967.